Chris Ward, Cooper Grace Ward(CGW) managing partner, will be leading a global network of independent law firms. 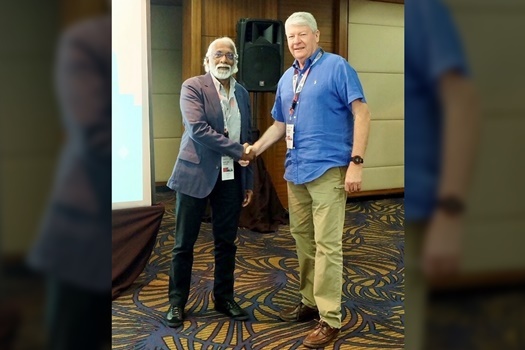 Ward has been elected as president of ADVOC Asia. Because of the structure of ADVOC, Ward will also be the global head of the organisation, CGW said. He will be ADVOC Asia’s president until June 2020. “I am honoured to be elected president of ADVOC Asia and to take on the role of leading the organisation globally. ADVOC is a great organisation which brings benefits for clients and team members of each of the 93 firms in the network,” Ward said. “I have come to know a wide range of my ADVOC colleagues over the years and trust in the capability they can bring to clients, wherever that international expertise is required. I look forward to continuing to improve on the connectivity and benefits shared between the ADVOC members,” he said. Ward’s appointment was announced during ADVOC Asia’s annual general meeting on Thursday in Yogyakarta, Indonesia. ADVOC’s 93 member firms have 5,500 lawyers who share knowledge and expertise to support clients in 72 countries.